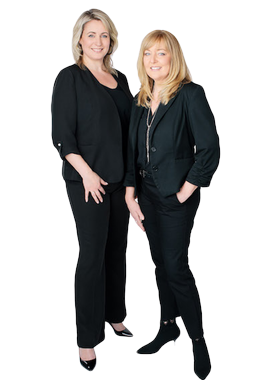 Right from day one of her career as a Realtor, Janet has measured her success by the number of happy and satisfied home owners she's assisted. Janet has received sales volume awards from RE/MAX every year that she has been a Realtor and been in the top 1% of the approximate 2,800 Realtors in the Fraser Valley Board for 5 years running with awards for reaching the top 10% in sales volume for 12 years in a row. She says it’s simple, just keep your clients’ best interests first and foremost, and you will succeed and get a consistent flow of referrals and repeat clients. People recognize a genuine and authentic professional Realtor when they meet and work with Janet. She brings to her real estate career a high quality of customer service and has built her business around satisfied clients. As a Realtor, Jenny believes in working with clients and not customers; she explains the difference by saying "a cusomter is casual but a client is life long". Her motto is building a community. Over the years, Jenny has taken a unique approach to accomplishing the goal of getting people moving and resettled. The approach has worked and today the bulk of Jenny's business comes from referrals and repeat clients. Jenny is a 3 time Medallion award recipient (Top 10% of the Fraser Valley 2014, 2013, 2012), 100% Club award winner 2011, 2012, 2013, 2014 & Executive Club winner 2009, 2010. Hi The Advantage Home Team, When I was browsing http://realestatechannel.ca I found your profile. Please contact me about your services. Thank you.